Child's Death Highlights Pedestrian Traffic Woes Raquel Nelson was convicted of vehicular homicide after her 4-year-old son was killed by a van. They were jaywalking across a busy highway to avoid a much longer walk to their home in the Atlanta suburbs. The story stirs debate about safety for walkers in areas designed for car commuters. Raquel Nelson was convicted of vehicular homicide in the second degree after her 4-year-old son was killed crossing the street. 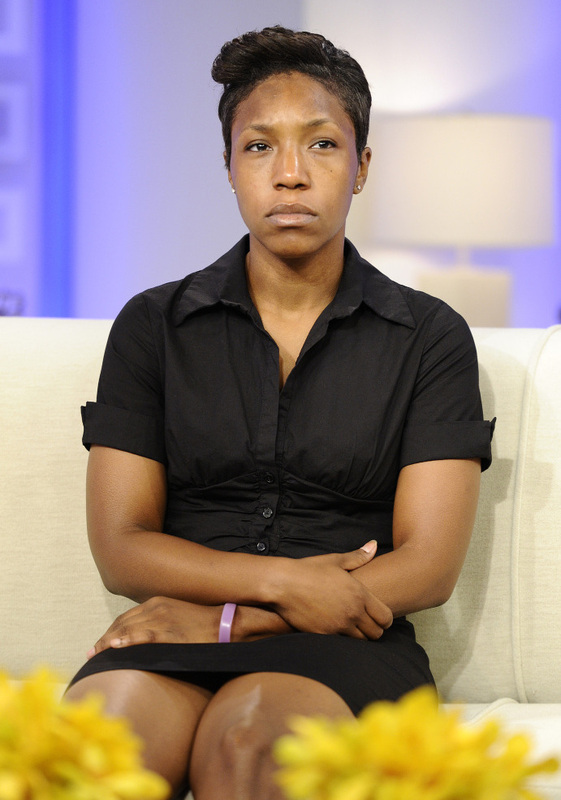 On April 10, 2010, Raquel Nelson was crossing the street with her three children when her 4-year-old son was hit by a van. He later died from the injuries he sustained. Nelson is a 30-year-old single mother from Cobb County, Ga., just outside Atlanta. On top of dual roles as breadwinner and caregiver, Nelson is a student at Kennesaw State University. She uses public transportation to get from her suburban apartment to school, work and the store because she can't afford a car. The family's bus stop is across from their apartment complex, on the wrong side of a four-lane, divided highway. Instead of walking a third of a mile to the nearest crosswalk and another third of a mile back up the street to their apartment building, Raquel Nelson did what most of her neighbors did: She walked her kids across the busy state road. The driver of the van that hit her son admitted to drinking earlier in the day. Jerry L. Guy was originally charged with hit-and-run, first-degree homicide by vehicle and cruelty to children, but the charges were later dropped to just the hit-and-run charge. Guy pleaded guilty and received a two-year prison sentence; he was out in six months. Prosecutors also charged Nelson in her son's death. She was convicted of vehicular homicide in the second degree, crossing roadway elsewhere than at crosswalk and reckless conduct. She faced up to three years in prison. In a twist, on the day of her sentencing, the judge gave Nelson one year's probation and 40 hours of community service and took the unusual step of offering her a new trial — an offer Nelson is considering. Nelson's conviction concerned groups like the NAACP, which felt the all-white, middle-class jury was unable to understand Nelson's situation and choices. Many jury members admitted they did not use public transportation. The case also became a catalyst for urban planning and public transportation organizations. David Goldberg, the communications director of Transportation for America, says that the area of Cobb County where Nelson lives is an old suburb, built primarily for families with cars. But recently, lower-income people who can't afford cars have been moving into the area. Goldberg tells weekends on All Things Considered host Guy Raz that these new residents are "using the bus, they're walking, but they're in places that are entirely hostile to people on foot." Goldberg says the bus stop where the accident took place primarily services Nelson's apartment complex, yet there is no crosswalk at the stop, forcing riders to walk far out of their way just to cross the street at a traffic light and get to it. He says that neither state nor local transportation officials have addressed the safety issues posed by the accident because of the potential for litigation. "If they were to go out and fix the problem," Goldberg tells Raz, "it would be a tacit acknowledgment that the problem existed. "They wouldn't want to give any ammo to a lawsuit."